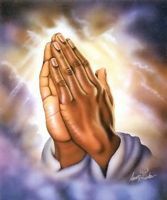 Please pray for me, my finances are in trouble and I do not have money to pay the rent and the rest of my bills. On top of that, my girlfriend just broke up with me and I do not blame her because I am no darn good. I am ready to give up on myself. I feel as though God has turned His back on me. I do not feel His love anymore and I feel as though He has given up on me.